It’s a hard life you lead in Fort Gay, West Virginia. Across the river from Louisa, Kentucky, in the Appalachian mountains, sometimes the only way you can escape your surroundings is to escape into distraction. For 26-year-old unemployed factory worker Josh Moore, his escape was his Xbox Live account. Two years ago, he’d paid in advance for the service, and now he was using it to fill his days with Medal of Honor, Call of Duty, and Ghost Recon, until someone at Microsoft took offense to the name Fort Gay and refused to look at a map to find the town. “At first I thought, ‘Wow, somebody’s thinking I live in the gayest town in West Virginia or something.’ I was mad. … It makes me feel like they hate gay people. I’m not even gay, and it makes me feel like they were discriminating,” said Moore. Contacting customer service only made the issue more irritating. “I figured, I’ll explain to them, ‘Look in my account. 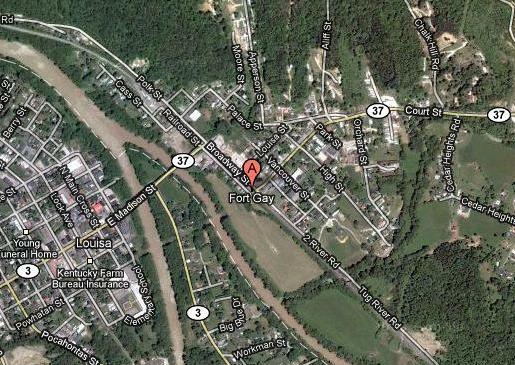 Fort Gay is a real place.’ I told him, Google it — 25514! He said, ‘I can’t help you. '” Even Fort Gay’s mayor, David Thompson, contacted Xbox Live in an attempt to get the situation straightened out, to no avail. I guess Google Maps is blocked in Redmond, Washington, in retaliation for Google leaving Microsoft Windows behind.